Been very fortunate to have had the some great interviews and this is no different... may I introduce you to my friend and composer "Freddy Sheinfeld"
HW:OLM: When did you decide to become a film composer? Was there a seminal film score that made you take this step? FREDDY SHEINFELD: I think I always wanted to become a film composer, but didn’t realize it until high school. My early compositions tended to be very visual and I sometimes would write suites that didn’t conform to any classical form, but instead would progress like a story in my mind. I always wanted people imagining a fantastic tale when hearing my music. I was a big science fiction fan and I remember how much I loved the main title of Star Trek’s The Next Generation. I couldn’t imagine how cool it would be to compose something like that and so I started collecting more soundtracks. It was not until my third year of computer engineering studies, that I decided to quit that and give music a serious try. For me, it was obvious at that point that I wanted to write film scores. HW:OLM: You worked on La Hora Cero, which is one of the most expensive – and also most financially successful – films from Venezuela. How was it working on a film like this? FREDDY SHEINFELD: Yes, La Hora Cero was a very ambitious film and it featured some of the biggest action sequences filmed in Venezuela. This meant that the movie had to feel bigger than the usual local films and more attention was paid to the music as well. We had to find the balance between some of the bigger moments and the scope of the film and also keep the Indie feel by avoiding sounding bigger than what we needed. In order to retain some of our Venezuelan folk sounds, I mixed traditional Venezuelan instruments and an L.A. string ensemble to capture some of that Hollywood feel. I co-wrote this score with Gabriel Velasco, who is a great percussion player and was able to infuse some of the Venezuelan percussive vibe to keep the music very authentic. HW:OLM: You worked on the David Attenborough documentaries Galapagos 3D and Kingdom of Plants 3D. How does working on an Imax 3D documentary differ from a fictional feature film? FREDDY SHEINFELD: There are a lot of differences and some depend on the type of documentary. When the film’s main focus is to report and inform about a subject matter by presenting information, evidence, interviews, etc. the music should be more neutral since you have to be careful to avoid manipulating the viewer by playing with musical emotions. For documentaries on nature like Galapagos and Kingdom of Plants you have more freedom since a big part of the scoring goes into animating and giving some personality to the animals or plants. There you can play more with your imagination, since is a more subjective matter. For example: what kind of music do you give a water lily? What's the theme of red-back spider? What kind of instrumentation do you use for a frog? 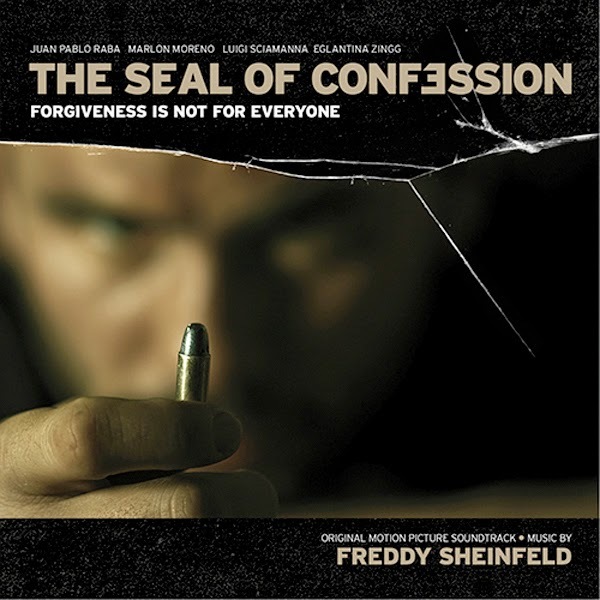 HW:OLM: Your latest score release is The Seal of Confession, issued by MovieScore Media. 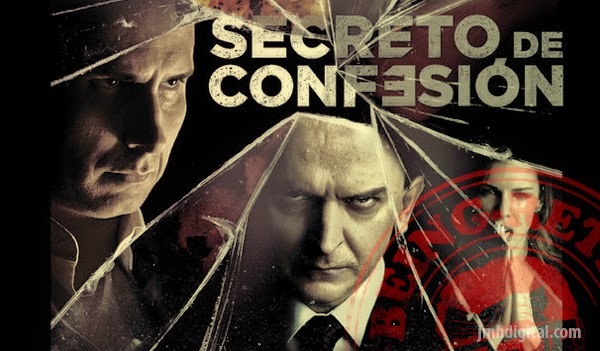 How did you get in contact with the filmmakers of The Seal of Confession? FREDDY SHEINFELD: I was approached by the director after he watched La Hora Cero. The Seal of Confession is a much obscure film, so they wanted to hear some of my darker music. After I sent then a few examples we started working together. HW:OLM: How did the filmmakers communicate their musical ideas? FREDDY SHEINFELD: Well, something that I really enjoyed about this film was that we didn't have a temp track, so the director and I were able to experiment with different approaches to score each scene. However, there was one exception because one scene was temped with what would be originally a song, but later we decided to score it instead. This one was hard to tackle because we needed to keep some of the song feel, score it and keep it within the style and palette we established. HW:OLM: The story of the film is running on different threads that focus on a killer, a politician, a policeman and a journalist. How do you approach a film with so many different elements? FREDDY SHEINFELD: I have a theme for each character (leitmotif) as well as a unique sound texture that defines them. Depending on how much we know about that character the theme will reveal more of its personally. For example, we don't know much about the killer and his background, so his music is very textural. The themes will also play together just as the stories merge during the film. There's also a very important theme I created which is the main theme of the movie. All other themes derive from this one and I used it as a third person narration device. Every time you hear this theme you know that something important is happening and you should pay attention. HW:OLM: Your score uses a very interesting blend of electronic and orchestral . Could you talk a bit about doing this balancing act the right way? A big priority for me was to try to keep everything working together without sounding forced, so I needed to integrate the music and sound as much as I could. For example, there's one recurrent scene where you see the protagonist spinning a glass after finishing his drink. This is a very important moment where the director paid close attention to the sound design, so I asked the film sound designers to send me that sound isolated from the movie, so I could use it. Once I got it I processed it and created a collection of organic synth pads that became the main background sound you hear every time Humberto's theme plays. You can actually hear this transformation at the begging of the track The Mission, which starts with the glass sound morphing into one of the pads. HW:OLM: Does working on a Latin American films differ from the "Hollywood way" you've grown accustomed to? Are there special challenges? FREDDY SHEINFELD: It's hard to generalize since each country might be different, but one of the noticeable aspects of working with Venezuela is that the country suffers of a big economic inflation, so budgets tend to be small even for bigger movies and you need to get creative if you want a good sounding score. On the other hand, the directors I've worked with have a great understanding of the importance of the music, so we have been able to avoid cutting corners and some of these limitations can sometimes lead you to very interesting directions that you might have missed otherwise. HW:OLM: Apart from film scores, your work can be heard under multimedia presentations and exhibits How does working on an exhibit like this differ from film scoring? FREDDY SHEINFELD: Each exhibit might be different from each other, so this might vary depending on the type of presentation. For example, one of the presentations I was involved with was In Our Times, which worked as a multi-screen 10min documentary about genocides in our generation. I think the main difference here was the fact that the music drove the story since the narration was done with only subtitles. You also need to keep the viewer engaged from the beginning. Once you walk into a museum you have a variety of exhibitions that you want to see, so people don't want to "commit" to a long presentation unless it really grabs you, so you need to maintain the audience attention while telling a story about a very delicate subject matter. This was also a permanent exhibition, so the museum might be showing this for many years. This means you need to try to compose music that has a better chance of standing the test of time. For this you also need to consider your palette very carefully and I would tend to avoid using synthesized sounds that might sound obsolete in a few years. HW:OLM: What are you currently working on? 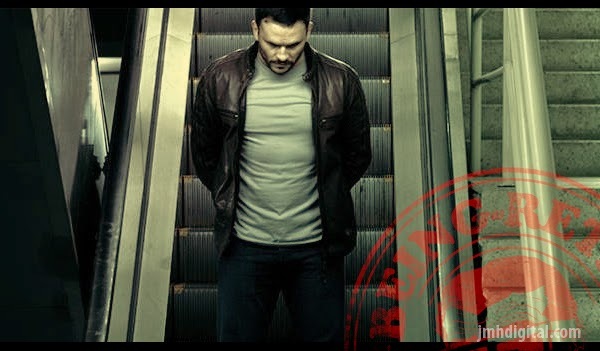 FREDDY SHEINFELD: I'm currently finishing the new thriller Trigger starring Scott Galen (The Bourne Legacy, Silence of the Lambs) and Chris Coy (True Blood, Hostel). After this I might be working in a new horror movie by Henry Rivero which I'm really looking forward because we have some crazy ideas about how to approach the score….